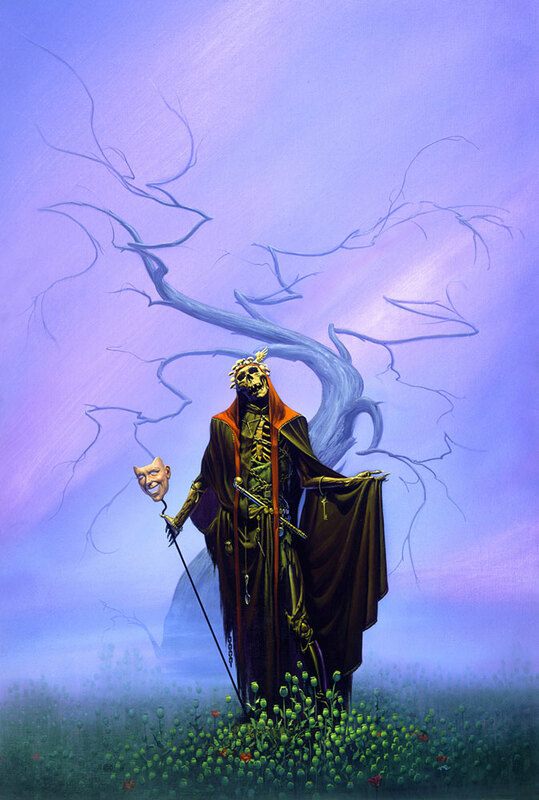 Our big purchase this past weekend at the Windy City Pulp and Paper Convention was this Michael Whelan painting, which is the cover for Michael Shea’s World Fantasy Award winning novel, Nifft the Lean. Both Deb & I are big fans of the book, as well as the art, so we were thrilled to pick it up! Our other big purchase at this year’s convention was this one. 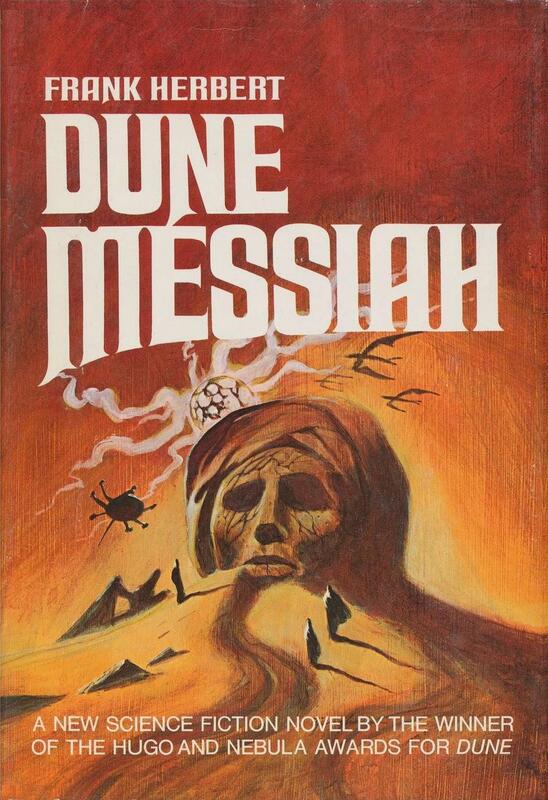 It’s the cover for the first edition of Dune Messiah by Frank Herbert, painted by Jack Gaughan. Below is one of our non-art purchases from last weekend’s Windy City Pulp and Paper Convention. 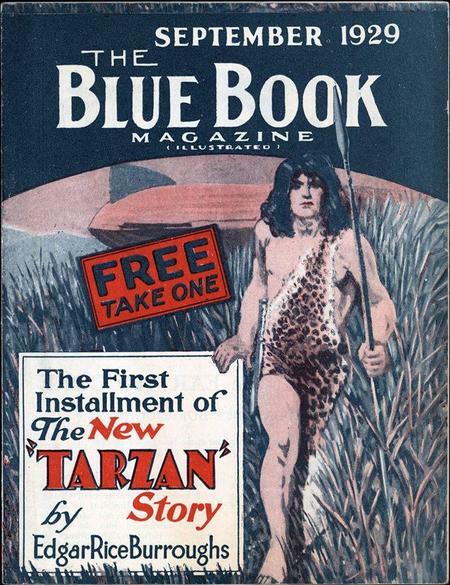 This is a Blue Book Magazine sampler booklet, dated September 1929, containing the first installment of Tarzan at the Earth’s Core, which was serialized in that pulp in seven installments from September 1929 through March 1930. It’s 16 pages long, 5″ x 6.5″, printed on a thin slick magazine paper. It was given out free at newsstands to hook folks on the serial and entice them to purchase the upcoming issues of Blue Book, containing the remaining installments of the novel. On page 15 is an ad discussing the next installment, to be found in the October 1929 issue. The cover is similar to the pulp cover, but not exactly the same — the grasslands on this cover are different and eliminate the five great apes (and slightly different vegatation) that are present on the cover of the actual pulp. 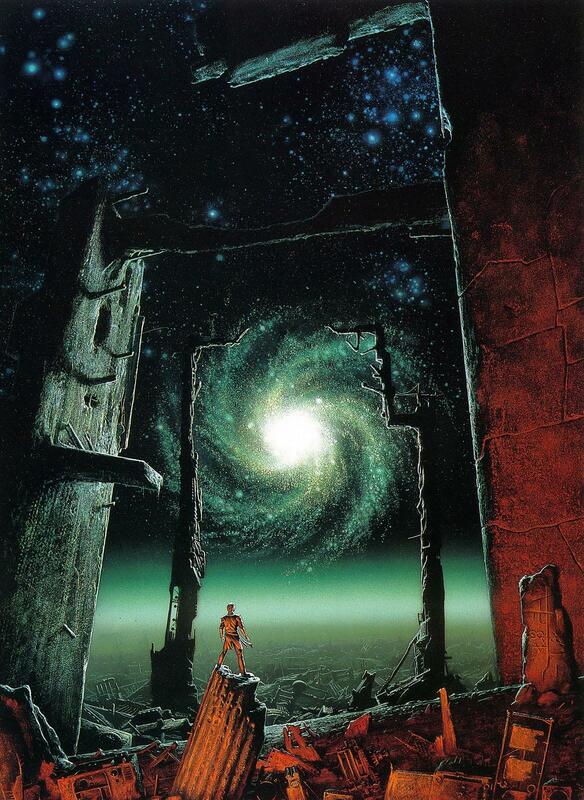 Doug is a collector of pulps, as well as of pulp, science fiction and fantasy art. He co-founded and co-organizes the Windy City Pulp and Paper Convention. For many years his Tattered Pages Press published the pulp fanzine Pulp Vault, as well as other books on the pulps. He was one of the authors of The Adventure House Guide to Pulps, and has edited several pulp anthologies, including the Best of Adventure series. His book, Uncovered: The Hidden Art Of The Girlie Pulps, an in-depth study of the spicy pulps and their art, was named ForeWord Magazine‘s 2003 Popular Culture Book of the Year. In 2013, Bob Weinberg, Bob Garcia and he collaborated on The Collectors’ Book of Virgil Finlay, a collection of Finlay’s gorgeous art. 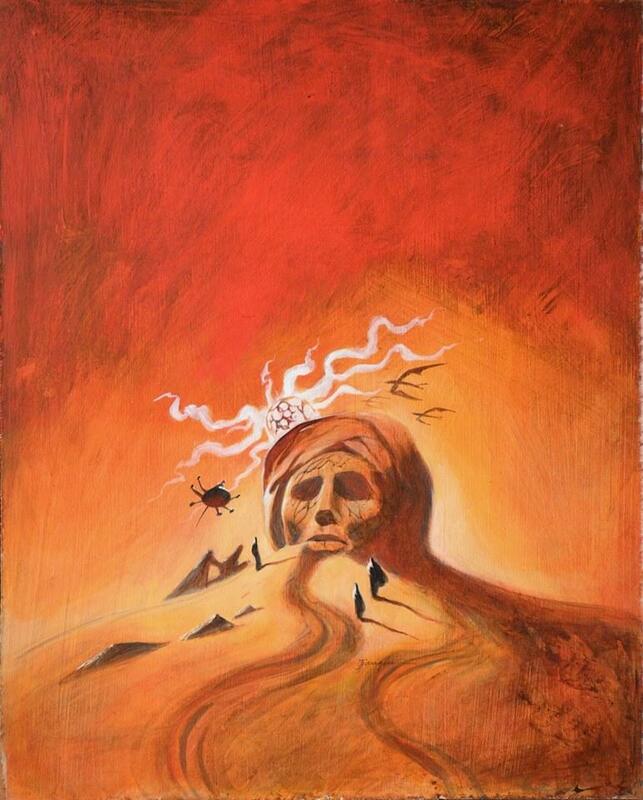 I am jealous of the Nifft cover. And the other stuff, but primarily that. The guy did so much superlative work for such a long while that it almost seemed there was a danger of taking him for granted. Yeah, I’m envious, but I couldn’t hang that one in the living room. 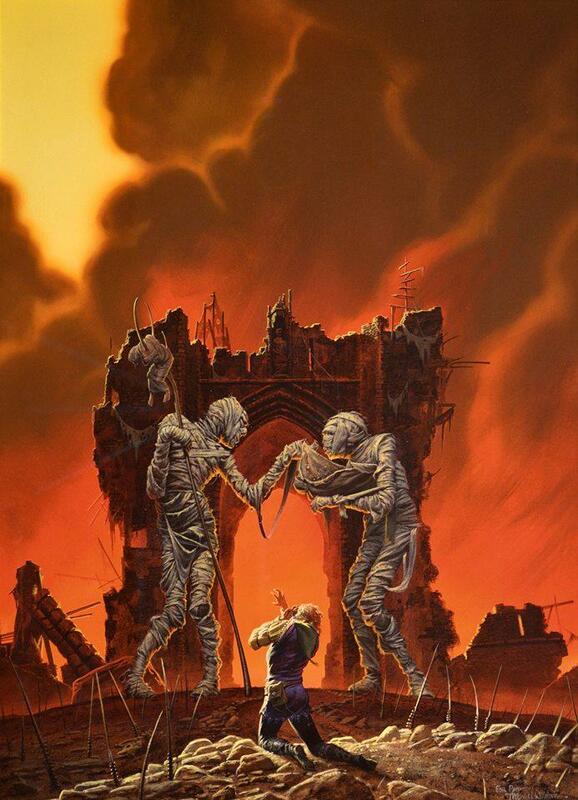 The Whelan painting I’d wrestle Cthulhu for is Elric at the End of Time. That painting is pretty much perfect. …which I prefer a bit. 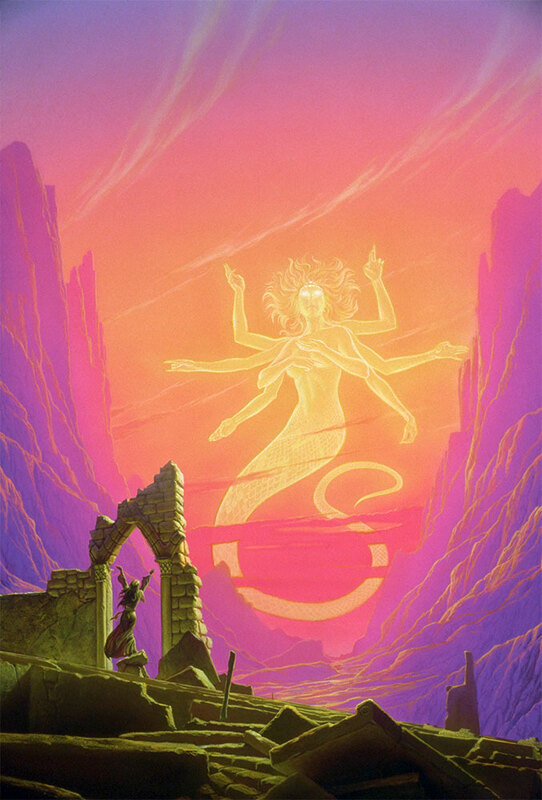 Not to sound like ye olde art snobbe but Anackire has such uniform hues that its impact is softened a bit to my eyes. Still magnificent. So fantasy and sf, how about Whelan doing horror? That’s my favorite. Gotta get pre-modern to find a more distressing image of Death incarnate, I think. That’s right — that Foundation’s Edge cover is great. And I’ve never seen the Death one before. Joe, please take the time to look closely at the Death image. He has a syringe on a necklace, a spoon dangles from his belt. His right forearm is tied off, a chain hangs at his back, and he stands in a field of poppies. And he holds the mask of a face laughing in happiness.